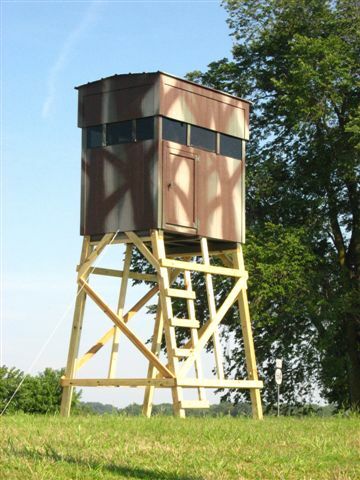 Our Hunting Blinds (Huts) / Clubhouses make a great clubhouse for your backyard. 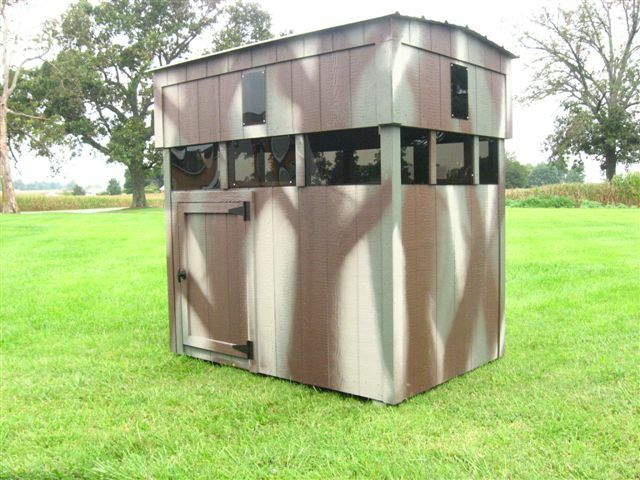 Our huts / clubhouses can be painted any of our standard building colors or camouflage (as pictured). Plexi glass windows tinted to prevent your trophy from spotting you. Shooting windows on all 4 sides that tilt in to minimize movement. All huts have shelves in the corners to store your gear. Floors come standard with carpet to reduce noise. 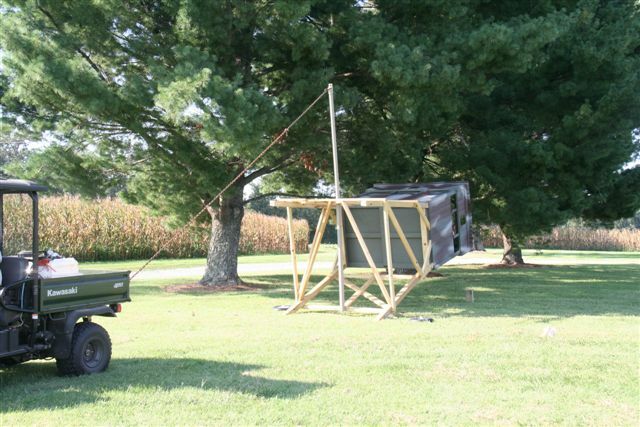 Towing kits include hitch and wheels and can be pulled with your atv. 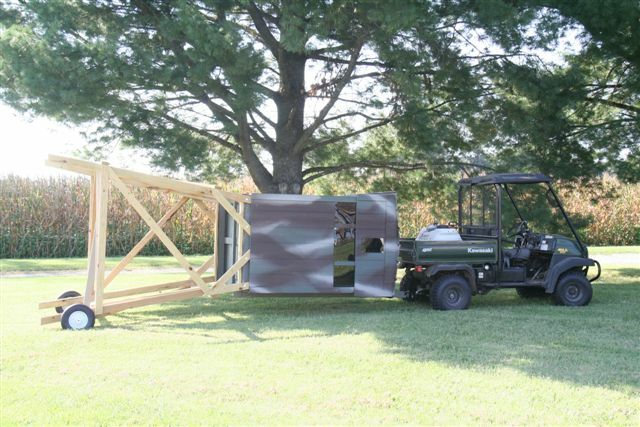 The towing kit is also used to stand the Tower Hut up with your atv. Extra viewing windows optional for standing position – add $80.